Luc-sur-Mer is located on Côte de Nacre. Characterized by cliffs, the seaside offers a sandy beach, a pleasant walk along the sea and a thalassotherapy institute. With its pier and its beach huts, this small family seaside resort is charming. 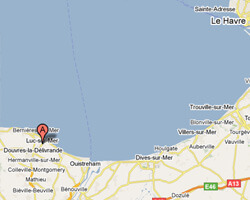 In Luc-sur-Mer enjoy a seaview holiday rental. 4 rooms renovated apartment 70sq. m, in a character residence - enclosed park,with flowers and trees. view of sea and garden. balcony. Sandy secure beach. 3 mn from the sea. ideal location if you do not have car. Located in Luc-sur-Mer, just 50 metres from the beach, Studios et Appartements Les 4 Vents offers Studio 30m2 with a sea view. 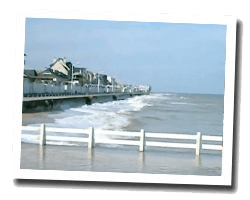 Caen is just a 20-minute drive away and Courseulles is 8 km away. Located in Luc-sur-Mer, just 50 metres from the beach, Studios et Appartements Les 4 Vents offers Apartment 60m2 with a sea view. Caen is just a 20-minute drive away and Courseulles is 8 km away.